MOSCOW, August 27. /TASS/. 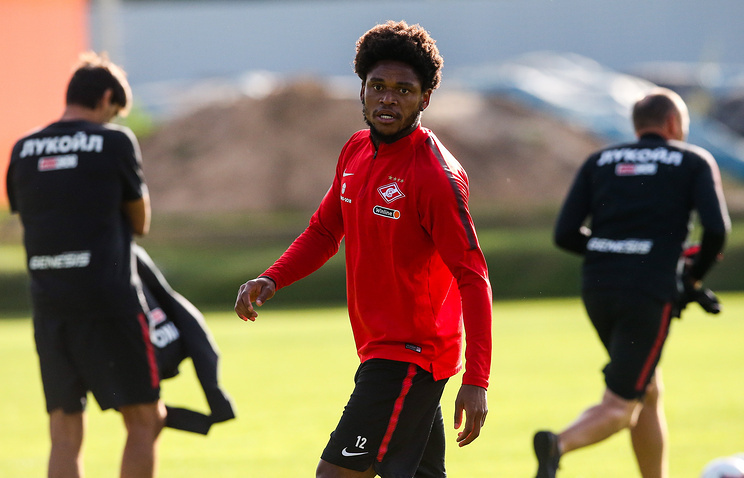 The Union of European Football Associations (UEFA) has suspended FC Spartak Moscow footballer Luiz Adriano for three UEFA matches, the football union’s press office reported on Monday. The return match between Spartak and the Greek FC PAOK on August 14 ended in a scoreless draw at the 45,000-seat Otkrytie Arena in Moscow. During the match’s 33rd minute, Spartak’s Brazilian forward Luiz Adriano was issued a red card after he elbowed a PAOK player in the stomach. Consequently, the UEFA disciplined the striker for non-sporting behavior. At an away game in Thessaloniki on August 8, Spartak lost to PAOK 2-3 subsequently getting knocked out of the race for the UEFA Champions League’s trophy. Hey Buddy!, I found this information for you: "UEFA suspends FC Spartak Moscow striker for three EuroCup games". Here is the website link: https://russophile.org/uefa-suspends-fc-spartak-moscow-striker-for-three-eurocup-games/. Thank you.